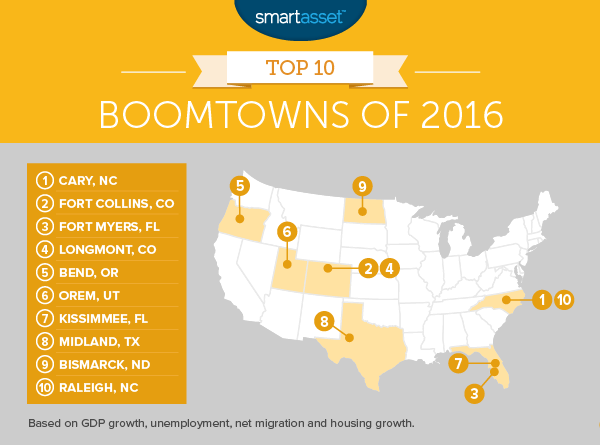 SmartAsset released its annual report of the top 10 cities in the U.S. with the fastest growing economies. Topping the list for 2016? Cary, North Carolina, with a housing growth rate of 9.1%. Raleigh came in at number ten, with a 7% GDP growth, one of the highest in the nation. Read the 2016 analysis.